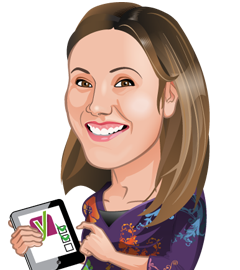 Marieke van de Rakt is the founder of Yoast Academy and CEO of Yoast. Her favorite SEO topics are SEO copywriting and site structure. In the 5.0 release of Yoast SEO, we’ve added the Yoast SEO text link counter. This new functionality counts the number of internal links in a post and the number of internal links to a post. It sounds really simple, but it’s extremely useful and actionable. It’ll really make it so much easier to improve the structure of your site. Why is that? Why is site structure even an issue? And why is our new text link counter useful? Here, I’ll explain all about that. What does the text link counter do? The text link counter counts the internal text links in your posts. It consists of two counters: The first counter counts the number of links in your post and the second counter counts the number of links to your post. The structure of a site is a crucial aspect of SEO. After all, Google follows links. The result of Google following links is that the internal linking structure of your site determines how Google crawls your site. Posts and pages that are linked to more often, are crawled more frequently than post and pages with few (internal) links. Same goes for visitors: pages and posts that have many links referring to them, get more visitors. If you forget to link to a specific blog post, nobody (Google included) will find it. An internal linking structure that makes sense is therefore crucial for SEO. That’s why, for the past year, we’ve added some really nice features to Yoast SEO Premium that’ll help you to keep your site’s structure up to date: the internal linking functionality and the cornerstone content checks. The text link counter, available for everyone in the free version of Yoast SEO, is another great feature that’ll help you to improve your site’s structure. Why should I use Yoast’s text link counter? The text link counter will allow you to assess the number of internal links each post receives and the number of links each post contains. This is important stuff. You’ll be able to instantly see which posts are hardly linked to at all. If these are important posts in your opinion, you can take action and link to these from other (similar posts). This will help your most valuable posts and pages to rank higher. You should use the text link counter because it is a very actionable feature. It allows you to really get started with working on your SEO. The text link counter indicates which articles have fewest links. These are the articles that need your attention! This feature really points to weak points in your site’s SEO. It tells you where to start optimizing. The new text link counter is an indispensable feature for everyone who takes SEO seriously. It’ll give you feedback on those articles that need attention in internal linking. Use our text link counter in combination with the internal linking tool. That’ll make it so easy to take your internal linking structure to the next level! Get your content right in one go! Hi Marieke, his is potentially very useful, however most of the internal links on our posts are dynamically included in the post sidebar, or in the “you might also be interested in…” section below the article e.g. https://www.europeanpharmaceuticalreview.com/news/63081/brain-training-cognitive-impairment/. Hi Nick, we decided to only use real text links as they’re most valuable for SEO, and for some practical implementation reasons too. Your related posts section is valuable for sure, but don’t forget to add those text links too! Thanks a lot guys for this very useful feature! Thanks for this wonderful feature! 1. 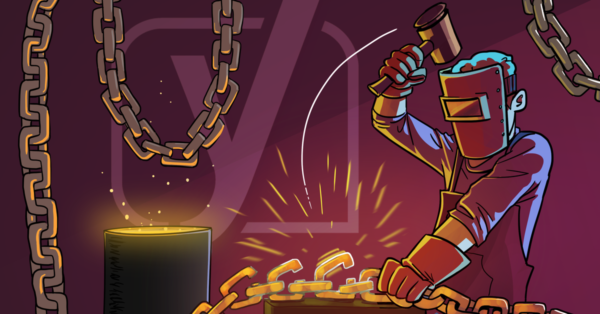 Why doesn’t the Yoast counter take those links into account? 2. Does Google take those link into account? Thank you for your answers and thanks again for the plugin! Hi David, we developed this feature so you can connect and show the relation between the content (pages, posts etc) you create. Therefore, the Yoast SEO text link counter doesn’t take footer or menu links into account. And we do suspect that static, hard coded footer links are regarded as less valuable by Google, than text links in your content. Sounds like a nifty feature! I upgraded my plugin to 5 and don’t see anything in the column (though I see the column header). I restarted WP and still don’t see anything on Pages or Posts. We use a few dozen internal links, so I’m surprised that the column is empty. Appreciate any tips you can share! I had the same situation. I think you might find a clue at the “Yoast SEO –> Dashboard” Page –> Notifications. Thanks, David, I will check it out! Forgive my ignorance… you say that “Posts and pages that are linked to more often, are crawled more frequently than post and pages with few (internal) links.” Is that because more links mean more people clicking on those links (leading to a higher ranking), and/or because Google crawls pages and posts with links more frequently because the links exist (regardless of them being followed)? Hi Janet, both probably contribute to Google crawling a post or page more frequently! I only see 1 column: the outgoing links column; and they are all 0 (zero). What’s happening here? Awesome addition to the plugin. We are using the Easy Pricing Tables WordPress plugin. After the latest YOAST update 5.0.1, when we have the Easy Pricing Tables shortcode within the body of a post and click update, we are presented with a white screen of death. If we deactivate YOAST SEO, we are able to update a post which includes the shortcode without receiving a WSOD. We are sorry to hear this happened to your site. Please review this knowledge base article: How can I get support? Excellent explanation. A lot of useful information here. Thanks for sharing. I checked with WPengine and they let me know they don’t have the expertise in building tables within my subscription. Yes, i used for my wordpress website. It’s really useful to count internal linking. Thanks for this great article. Interesting feature but how the plugin count the number? using the_content filter or the value of content in the db? Is this available on the Premium version? I do not see it at all and no updates pending. Is this available on the Premium version? I do not see it at all and no updates pending. Never mind. Just saw update come through. LOVE YOU GUYS!!!! This sounds fantastic and like an incredibly helpful feature! Can’t wait to try it out and fix my pages with few internal links! Thank you!! Thanks! Good luck improving the linking structure of your site! Excellent web site. A lot of useful information here. Thanks for sharing. Hi, Thx for this great feature. Empty bar (status not even showing). In short this feature is completely broken for me.